1. 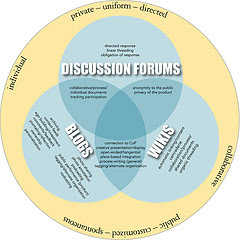 Understanding the Difference between Blogs, Wikis and Discussion Forums: Thanks to Alec Couros for sharing (via Twitter) this great graphic which does a great job of illustrating the differences between these Online Tools. Thanks also to Chris L for creating and sharing this graphic on Flickr. 2. 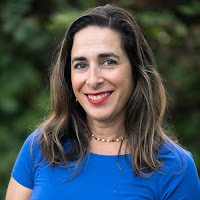 My Common Principles for 21st Century Schools: In my last blog post I outlined my ideas for some Common Principles for 21st Century Schools, which were inspired by my attendance at the amazing Educon 2.0 conference last weekend. I'm still hoping for feedback on this blog post and would also love people to join the wiki and contribute your ideas.